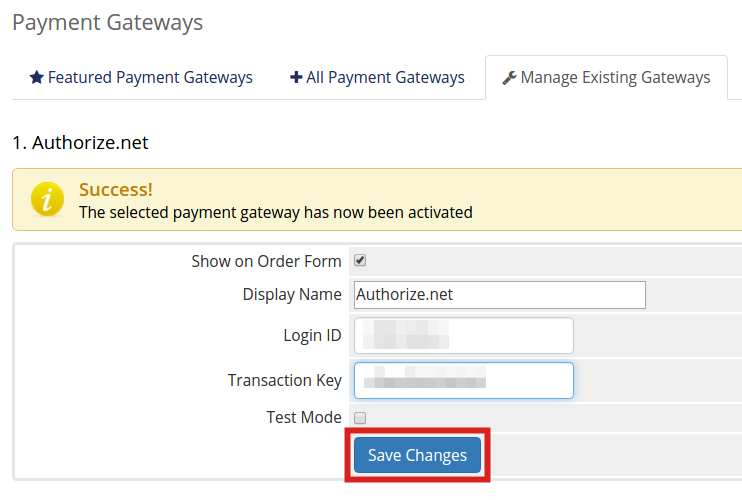 In this tutorial we will show you how to add Authorize.net as a payment gateway in your Reseller Advantage site. This will allow you to process payments using their popular service. Roll your mouse over Setup, then Payments and click the Payment Gateways option. 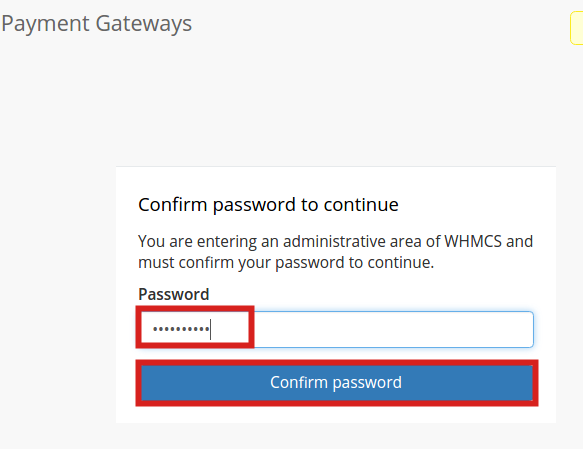 Enter your WHMCS password and click Confirm password to access the Payment Gateways page. 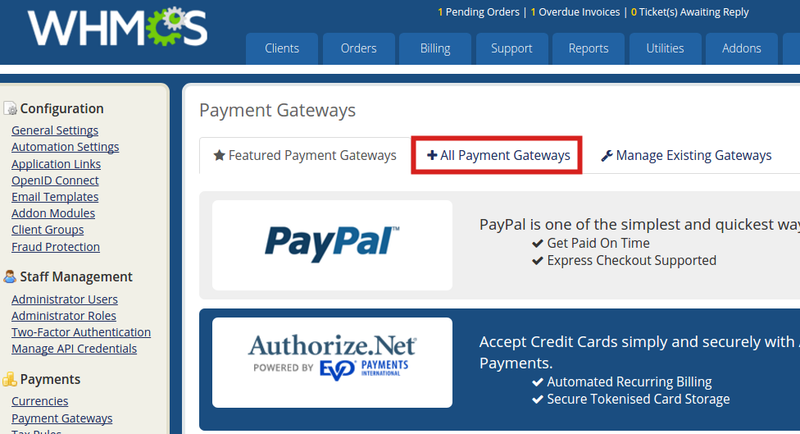 Click the All Payment Gateways tab on the Payment Gateways page. You will see a "Success! The selected payment gateway has now been activated" message. Enter your Authorize.net Login ID and Transaction Key, then click the Save Changes button. Congratulations, now you know how to setup your Reseller Advantage to accept payments via Authorize.net!